When I am designing gardens, my first thoughts are about creating balance and harmony within the space.The proportions must be right and the general feel of the garden really has to fit in with the house and surrounding area otherwise it will never feel as if it truly belongs there. One integral element of visualising the new garden is to establish where the focal points are located within the new design, as it is these spaces that will create and encourage movement through the garden. 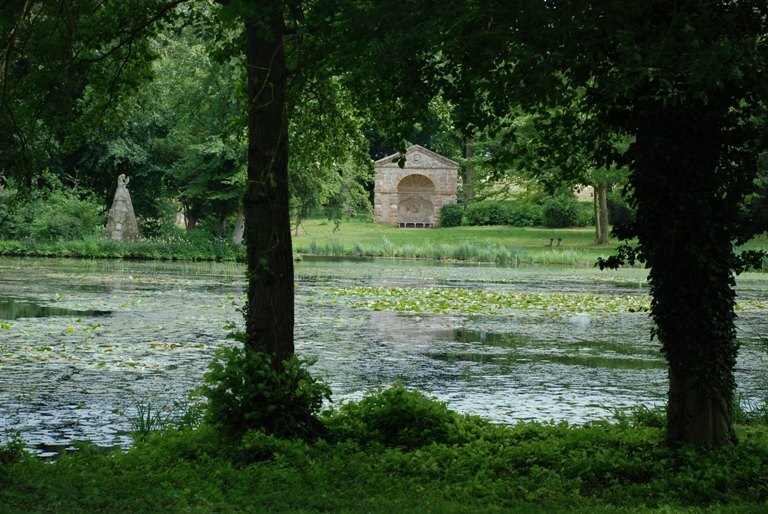 Views and vistas have been an integral part of garden design for centuries and gardens such as Hidcote, Painshill Park and Stowe use them really effectively to draw visitors through the garden. Stowe is particularly brilliant with its many monuments, follies and temples – every time you see a glimpse of something, you just have to go and take a look. I am very much in awe of the designers who created gardens such as these. 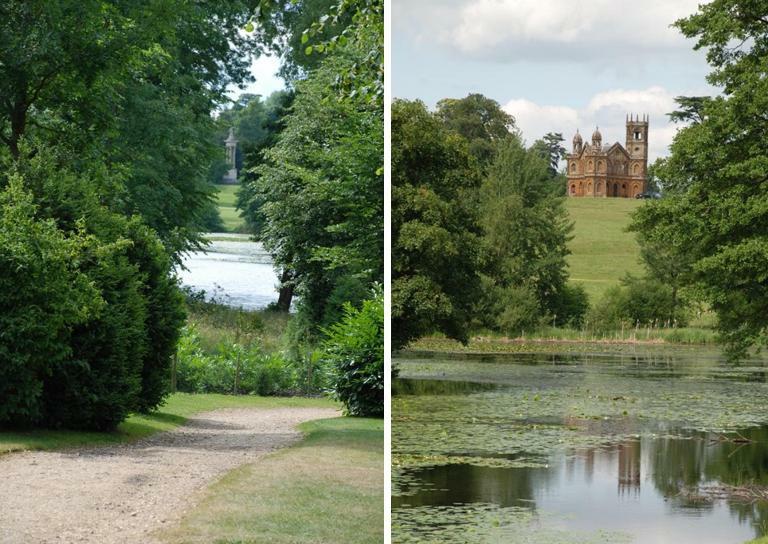 The likes of brilliant landscape architects such as Lancelot “Capability” Brown had such amazing vision. Really they were designing the landscape for future generations, not living long enough to see their creative vision come to fruition. It is quite unlikely that you will have the space (or cash!) to create a garden of these proportions, but it is more than possible to take some of the elements and scale them down for any size of garden. Even the smallest of gardens can use focal points effectively to draw you out there. 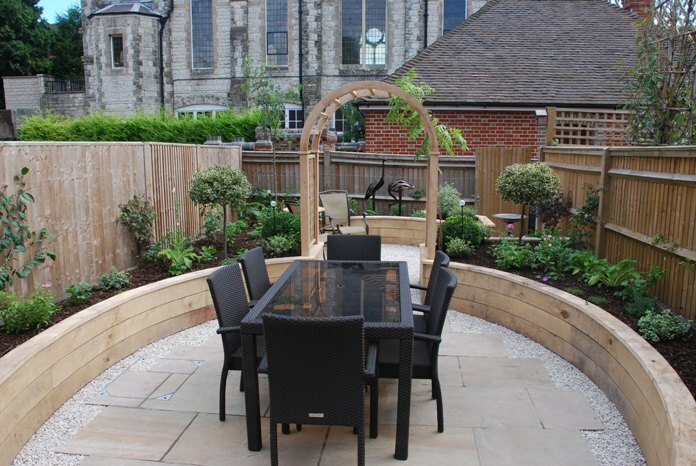 You might remember the small garden I designed in Reigate (“A Garden With Wow Factor“) which split a very small garden (just 5x10m) into 2 areas. The sculptures through the archway are positioned to provide a focal point that is viewed from both the main seating area and inside the house. Once the planting has had time to properly establish, there will be more intrigue to entice visitors down the garden. 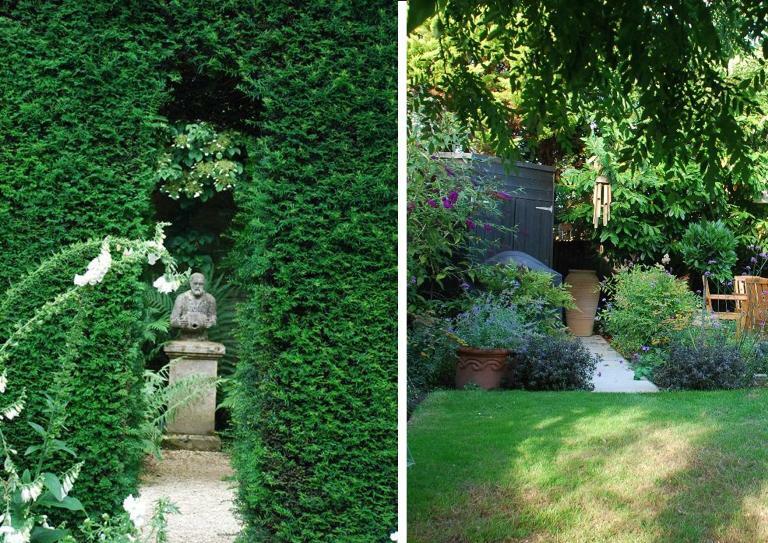 Alternatively you might want to draw the eye to the end of a pathway – the piece of sculpture in the picture on the left below(at Hidcote Manor Gardens) was positioned through an archway where the one path met another. It gives you a reason to travel down the pathway at the same time as providing a vista from other parts of the garden. The terracotta urn in the right hand picture is in my own garden, positioned at the end of a pathway that leads to the shed. Its job is to lead the eye away from the unattractive shed and also to provide an attractive view from the kitchen window. Focal points can be pots, furniture, fountains, sculpture, or plants – a beautiful tree or shrub can work really well, particularly if it has more than one season in which it looks magnificent. If you have a beautiful view from your garden or even look out on to an attractive building, careful planning and structural planting could transform it into something really quite spectacular!